Its official now: Google will favor referencing HTTPS (SSL) websites. Google will now start to favor websites that have SSL standard encryption. The main motive behind this change is encouraging site owners to implement TLS and thus establish encryption between sites and the Internet communication. Google is going to prioritize rank of websites by using this technology, as it promotes such sites displaying original content. 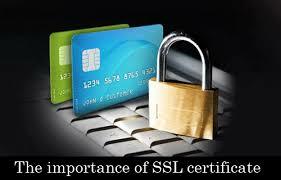 With this, having HTTPS (SSL) will become an integral partof any website’s SEO strategy now. Keeping in mind all these ongoing changes over the web, it would be a wise step to move your websites from HTTP to HTTPS for better SEO performance. For best benefits, we are offering 10% discount on all our SSL sertificates + dedicated IP address so you can take advantage before it’s too late. Use the coupon code SSLSAVE10 to avail the discounted prices. Next articleHow to assign a IP address on Ubuntu Server !! !